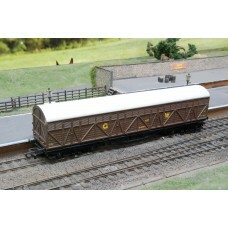 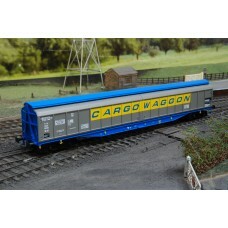 The Dapol B777C, MBA Monsterbox freight wagon, pictured in EWS colours and running number 500045 is .. 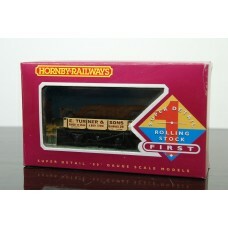 The Hornby R6329A departmental sealion wagon is a detailed OO gauge freight wagon in yellow and grey..
A Hornby R041 3 Plank Wagon, E Turner & Sons Forest of Dean and Bath Quarries in OO Gauge, paint.. 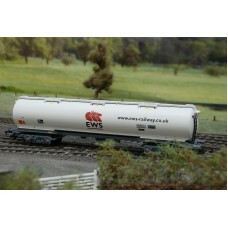 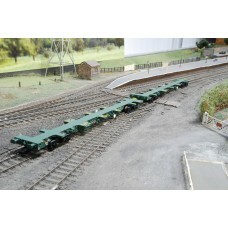 Produced by Hornby R6336 is a 100ton EWS TEA oil tanker wagon in OO gauge for model railway, numbere.. 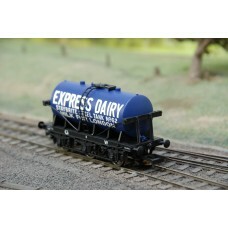 The Dapol B777D, MBA Monsterbox freight wagon, pictured in EWS colours and running number 500098 is ..
A 6 wheel milk tanker with Express Dairy on the side of the blue tank wagon. 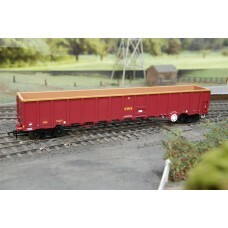 It follows with Staybri.. 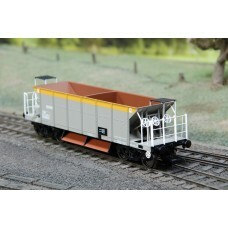 The Dapol B724E FEA Spine Wagon in Freightliner livery and numbers 640235 and 640236 is a highly det..
A highly detailed OO gauge model from Dapol, the B724F FEA Spine Wagon in Freightliner livery and nu..
A Dapol B76 GW milk van wagon in OO gauge. 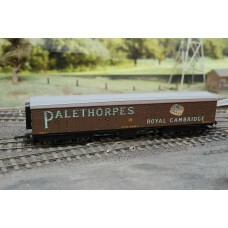 Siphon H 1437 markings on this model milk van in brown wo..
A LIMA 305352 Palethorpes parcle van, with GWR logo and 2766 Siphon G, the brown wagon is labelled w.. 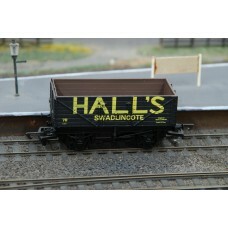 This 7 plank wagon produced by Dapol B182 reads Hall's Swadlincote in yellow writing, with the numbe..
A Heljan 5001 Cargo Waggon sliding door freight wagon in silver and blue livery colours and yellow a..